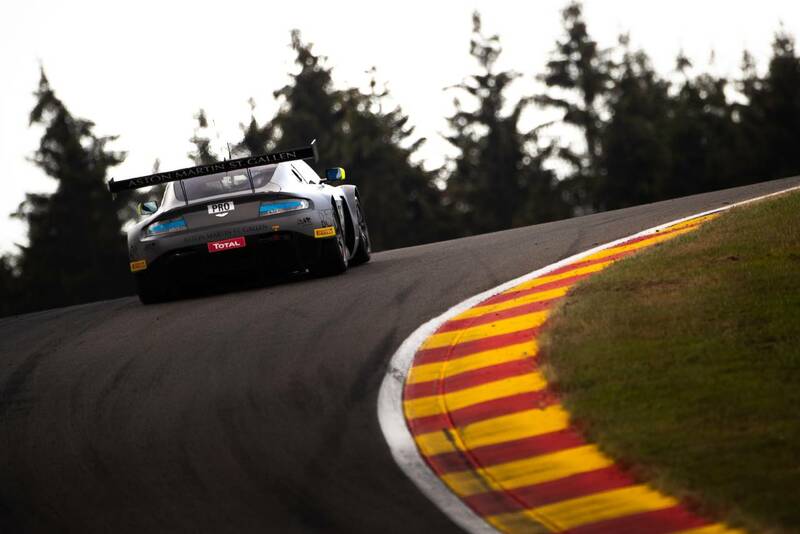 Jake Dennis and his Aston Martin team R-Motorsport’s efforts in its Spa 24 Hours debut this weekend were rewarded with a record-breaking Qualifying performance and a top 10 finish. This result in the race followed R-Motorsport becoming the first team in Blancpain GT Series history to score three consecutive Pole Positions, after its second Vantage (the #62 of Maxime Martin, Dominik Baumann and Marvin Kirchhofer) was promoted from second to the top slot on the grid on Saturday morning due to a penalty being handed to the original pole-sitter. The early portion of the race showed huge promise for R-Motorsport, Martin in the #62 battling hard to keep the car in the lead through the opening hours, while the #76 – which started at the back of the grid – climbed the order. Nicki Thiim was masterful during the opening stint, rising from 62nd, to 20th before pitting for the first time. That early performance from the Dane laid the foundation for the #76 to contend for the lead into the evening, and back up the #62 Aston Martin Vantage after the team lost over a minute due to a fuelling issue after three hours. Unfortunately, bad luck continued to strike R-Motorsport following the #62 dropping down the order, both cars suffering issues which prevented them from contending for the win into the second half of the race. The two Aston Martin Vantages suffered multiple punctures, completed unscheduled brake changes and in the case of the #62, lost further time over night and on Sunday afternoon due to contact with a slower car and later, a rear bumper change. While the #62 ended up finishing 35th, the #76 continued to fight as the sun rose on Sunday morning. Thiim, Dennis and Vaxiviere all ran metonymically to ensure that R-Motorsport came away from its first 24-hour race in the Ardennes with a strong points-paying finish in ninth. During the race, in which points were handed out after Hour 6, Hour 12 and the finish, the #76 Aston Martin Vantage scored three points (one for Pole) after a run that promised so much early on. The final round of the Blancpain Endurance Cup is next on the schedule, the three-hour race set to take place on the 28-30 of September at the Circuit de Catalunya in Spain.